Team Vreeland’s Harley-Davidson Racing is proud to announce Dennis Waldron has come out of retirement and rejoined Team Vreeland’s this time on Nitro!!!! 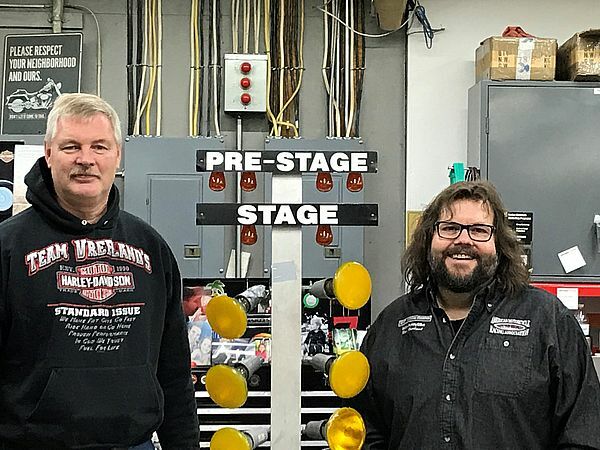 Dennis will pilot Vreeland’s Harley-Davidson’s 2010 Pro Fuel bike at all AMRA events in 2019 as he competes for the Nitro rookie of the year. 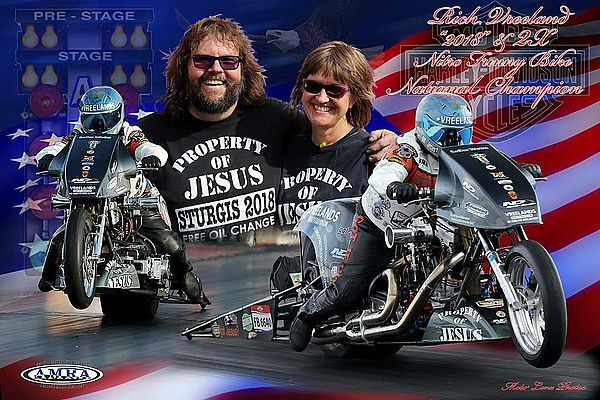 Dennis has a long resume in Harley Drag racing including Five National championships. 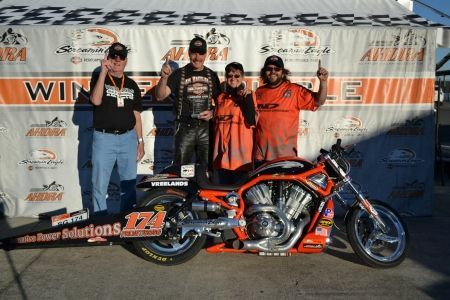 He will join Current AMRA Nitro funny bike champion Rich Vreeland as Team Vreeland’s Harley-Davidson will field two Nitro powered Harley’s for the full AMRA schedule. Rich Vreeland said “It’s going to be a challenge to prepare 2 bike to compete full time on the AMRA circuit but with help of Ray Vreeland and his team back at the shop and My new crew Chief Sam “Deadbear” Mashini and Rich Longo helping Dennis , Patti and I feel we are up to the Challenge. Rich will also in Top Fuel this season at select NHRA Mellow Yellow events. Rich and Dennis combine for 113 years of life experience and 7 National Championships so our motto for this season is Have fun, Race hard and enjoy life at the track.